Disclosure: Zuke's sent us a bag of Mini Naturals Treats and a Z-Bone Dental Chew for review/giveaway purposes. We were not compensated for this review and all opinions expressed are our own. Zuke's®, a leading provider of natural pet treats, has created new seasonal offerings for our dog to enjoy! Paying tribute to the delicious foods that Fall brings to us and the crisp cool weather of the winter, these limited-time treats just hit the shelves in October and we are so happy to bring them to you today and give you a chance to win some of your own! What better way to start the Thanksgiving holiday than with a turkey and pumpkin recipe all wrapped up in a tiny, chewy and oh so adorable pumpkin shaped treat! At only 3 1/2 calories per treat, they are a perfect option for training at any age, size or breed of dog. 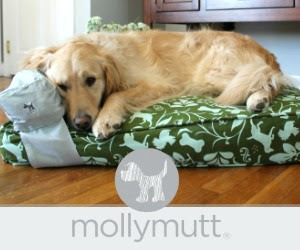 They make perfect rewards to encourage positive behavior for your dog throughout the hectic holiday season. The turkey and pumpkin recipe features quality, lean protein and the powerful nutritional value of pumpkin. Rich in carotenoids, beta-carotene, alpha-carotene, fiber, zinc, iron, vitamin A and potassium. 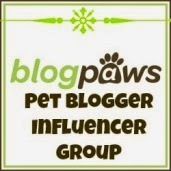 As a bonus, pumpkin is great for helping correct digestive problems in your dog. Shaped like real pumpkins with a recipe to match, these moist treats are allergy friendly and made in the USA. While our dogs bellies are getting filled with Zuke's treats over the holidays, we can't forget about their teeth! This triple-action dental chew is designed to naturally freshen your dog's breath, polish their teeth and maintain healthy gums without the use of wheat, gluten, cornstarch or synthetic chlorophyll as well as being grain free. This limited time Z-Bone is designed with spearmint and fennel to support a clean, fresh mouth. Pumpkin, parsley and rosemary help contribute to healthy digestion to support fresh breath from the inside out. The Z-Bone has an ideal texture which helps polish teeth and maintain healthy gums. 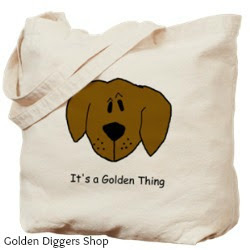 These bones are appropriate for dogs over 10 pounds and 6 months of age and are sold in individually wrapped packages. 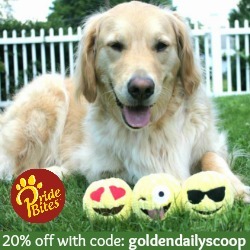 Golden Daily Scoop gives an all paws up for Zuke's! We love that Zuke's Pumpkin Patch Mini Naturals and Z-Bones Minty Fresh are made in the USA and completely free of harsh additives, preservatives, and common allergens like wheat, corn and soy. Remember! These treats are only available for a limited time! We strongly encourage you to purchase some Pumpkin Patch Mini Natural Treats and Z-Bones Minty Fresh dental chews while they are available! Visit the Zuke's store locater to purchase these treats while supplies last and best of all ENTER the GIVEAWAY below to WIN some for yourself! Open to U.S. residents, 18+ and ENDS 11/24. YES - and we recently re-discovered them as a staple in the Lapdog house because they make some fantastic low-fat treats that are suitable for Tut! He LOVES the pomegranate coconut ones... and Sophie & Penny would love to try the pumpkin! We have :0 They seem to like the rabbit one :) This flavor looks awesome! These treats seem to make you guys so happy! 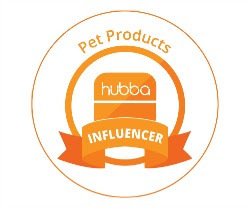 Schooner & Skipper do not have a favorite because they love all Zuke's treats! Not sure if they have tried Pumpkin yet! Nala loves all Zuke's treats but I think her favorite is the Lil' Links Duck and Apple flavor. Zuke's are the favorite training treat in our house! These would be fun to try. Haven't tried Zukes, but they look great! Not yet but would like to try them! My yellow lab has not tried Zukes. I think he really needs the dental chews though! My dog likes dental chews but we haven't tried Zukes brand. e havent tried zukes before - we should though! My dog hasn't had a Zuke's treat yet. My goldens have not tried Zukes treat yet. Fingers crossed we will! 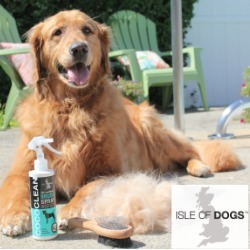 My dog hasn't tried these yet but we'd like to! Yes he has had Zukes quit a few times, I know he has had beef and loved it. I like that they are soft and he thinks they are a special treat. My dog loves all the Zukes treats! My brittany has not tried Zukes, but they sound great! My dogs love Zuke's treats. I think the first type of jerky they came out with is their favorite, but we go through a lot of the minis, and they love the z-bones. My dogs love all of the Zuke's treats, especially the peanut butter flavor! My dog has not tried it but the Pumpkin sounds interesting . yes,my dogs have had the minis bones and the little chews and loved them. they like the peanut butter flavor. The crew loves the Mini Naturals for training. Honestly,they love every flavor! 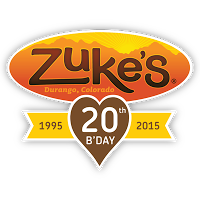 I have never bought or heard of Zuke's before all the blog posts started about it. 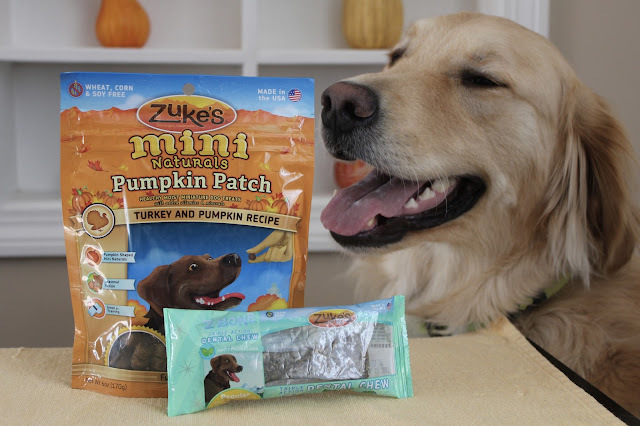 We've never tried Zuke's before but my dog is definitely not picky and I'm sure he'd love them! Yes my dog loves Zukes! Melvin loves all Zukes! Right now we have the links and he goes crazy when he hears the bag!